(NaturalNews) Sometimes it takes an average person with direct experience of a situation to put things in perspective in such a way that anyone can understand – without a lot of industry jargon or double-talk – by simply speaking the truth in plain, commonsense terms. Such is the case with Iowa farmer George Naylor, who wrote an op-ed piece for The Des Moines Register, in which he discussed the concept of "smart labels" for GMO foods, and the reasons why he has chosen not to grow GM crops on his own farm. Like most Iowa farmers, Naylor grows mostly corn and soybeans but, unlike the majority of his peers, he has decided to avoid the use of GM farming techniques. "I have ... made the choice not to raise genetically engineered corn and soybeans. Why? Well, rather than boosting rural economies, genetically engineered crops have drained billions of dollars from them — the temporary ease of weed control has led to even more farm consolidation; and the unbelievable power of the herbicide glyphosate to kill both annual and perennial weeds has destroyed food and nesting resources for many of our important insects and birds. Farmers have spent billions of dollars on genetically engineered seeds only to see weeds become resistant to the glyphosate on Roundup Ready crops. Corn rootworms, too, have become resistant to the most common insecticidal proteins included in many GMO corn varieties. These resistance problems require even more application of herbicides and pesticides that threaten the health of rural Americans — glyphosate was recently recognized by the World Health Organization as a 'probable carcinogen' — and add to chemical residues in food products." In one paragraph, Naylor summed up the problems with the entire GM agriculture industry. Contrary to the assurances and claims initially made by Monsanto and other biotech firms regarding how GM farming would be beneficial for everyone, the industry has instead destroyed livelihoods and systematically poisoned the environment. The recent downsizing of Monsanto and the growing anti-GMO movement are testaments to the fact that GM farming has turned out to be a disastrous failure, and the public is now waking up to that fact. "Altering the genetic building blocks of plants and animals, which in turn alters the building blocks of our ecosystem, rightly concerns many Americans. National polls consistently show that 90 to 95 percent of Americans support mandatory labeling of genetically engineered food, because they want to know what is in the food they eat and feed their families. "And we should have the right to know when a food product contains genetically engineered (GE) ingredients, especially as they carry greater and greater residues of this probable cancer causing chemical. 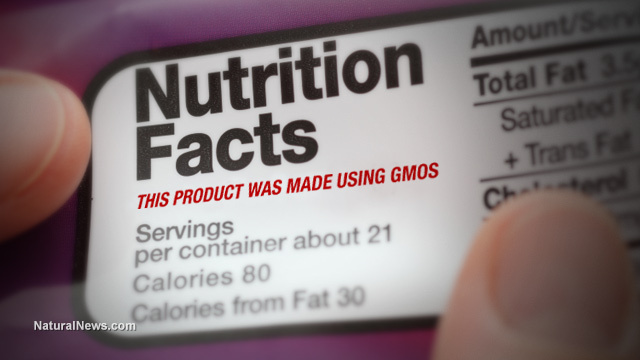 Some states such as Vermont, Connecticut and Maine have voted to mandate this labeling. But Congress is trying to preempt these states from giving their citizens what they have asked for." "Instead of a simple declaration in plain language on the product, a smart label will require scanning each item with a smart phone. Besides the unbelievable time and inconvenience involved, many Americans don't have smart phones and can't afford them. More than half of rural Americans don't have smart phones, let alone the network coverage required to access the information." In closing, Naylor urges the populace to take action. "Voters and consumers have enough to keep us awake at night; we don't need to be worrying about what's really contained in the food we put on our tables," he wrote. "Tell our elected officials that we have a right to know what is in our food and to make informed choices about the products we purchase." Thank you George Naylor, for sharing the unvarnished truth about GMOs in such a compelling manner.